Earth Day 2017 turned out to be such an exciting day here at the Craft in America Center with guest artist Catherine Alice Michaelis. 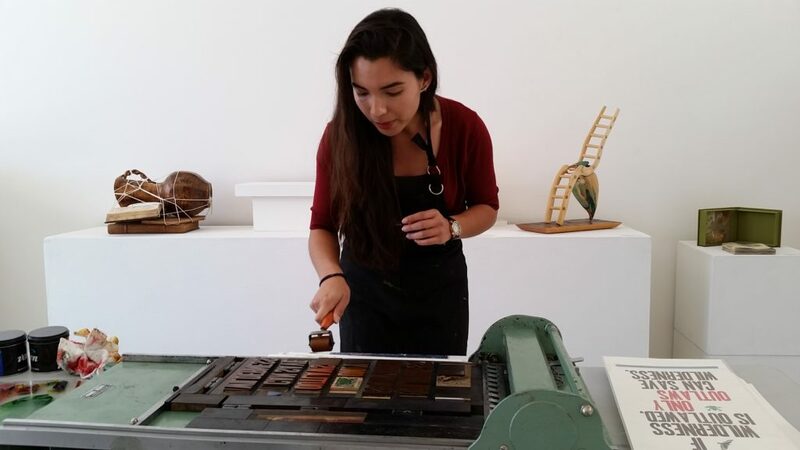 After a wonderful week working with our School Outreach Programs, Catherine Alice was able to hold a printmaking workshop here at the Center for any visitors who wished to print their own poster or card. 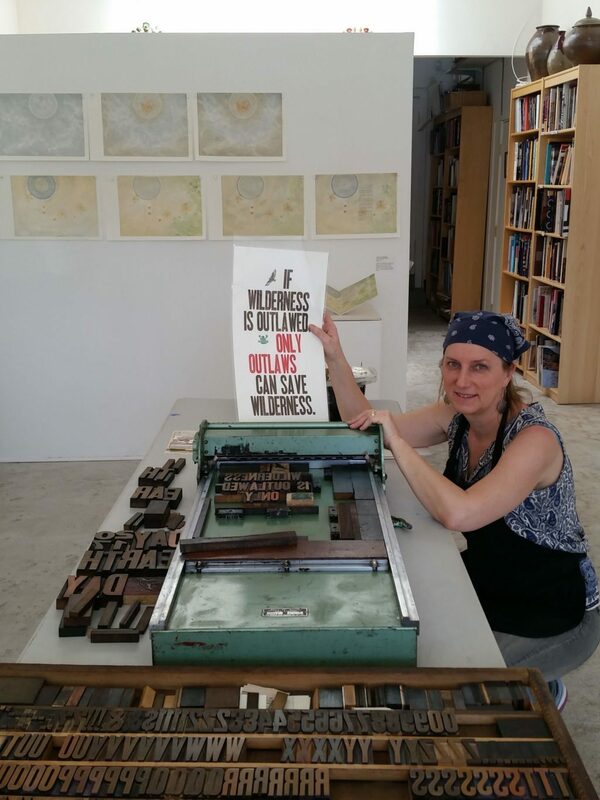 Catherine had type set up on two separate presses; the smaller one held metal type with the phrase,”I firmly believe that nature brings solace in all troubles,” from Anne Frank, and the larger one held wooden type with the phrase in all caps “If wilderness is outlawed, only outlaws can save wilderness,” from Edward Abbey. Because visitors were showing up at various times throughout the day, each individual was able to print something without everybody having to wait their turn. 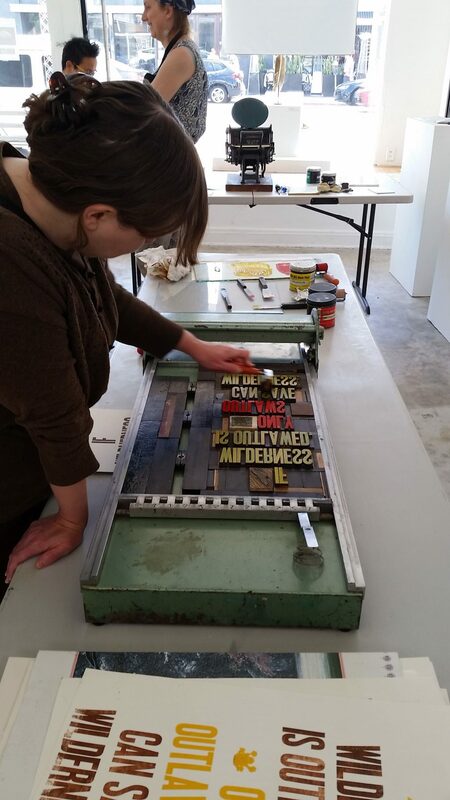 Many of our guests had never experienced printing before and were thrilled to discover how fun and transforming the process is. 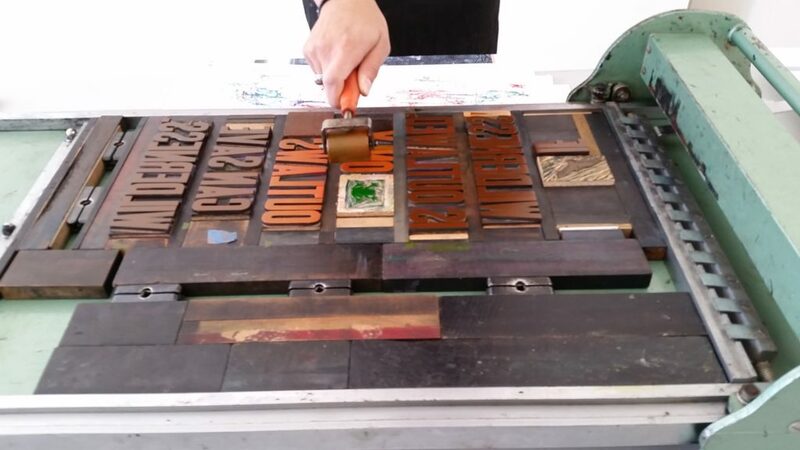 Everyone was allowed to ink up their type as well as run the press. 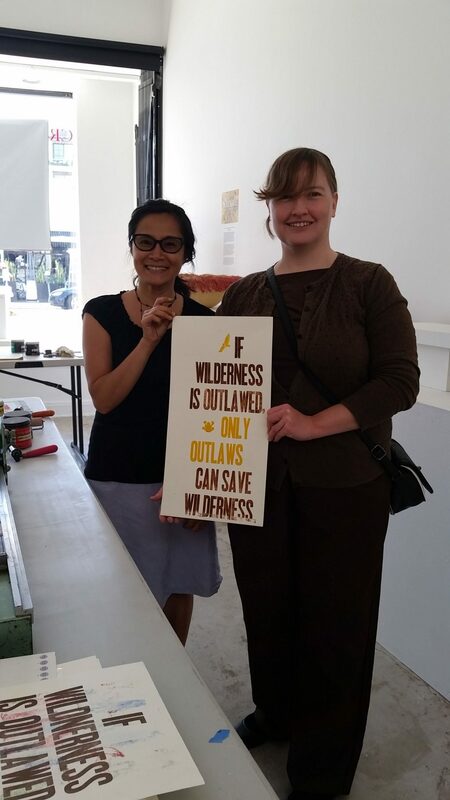 Catherine also brought down some of her personal prints to give out to visitors in return for any given donation to the Craft in America Center. 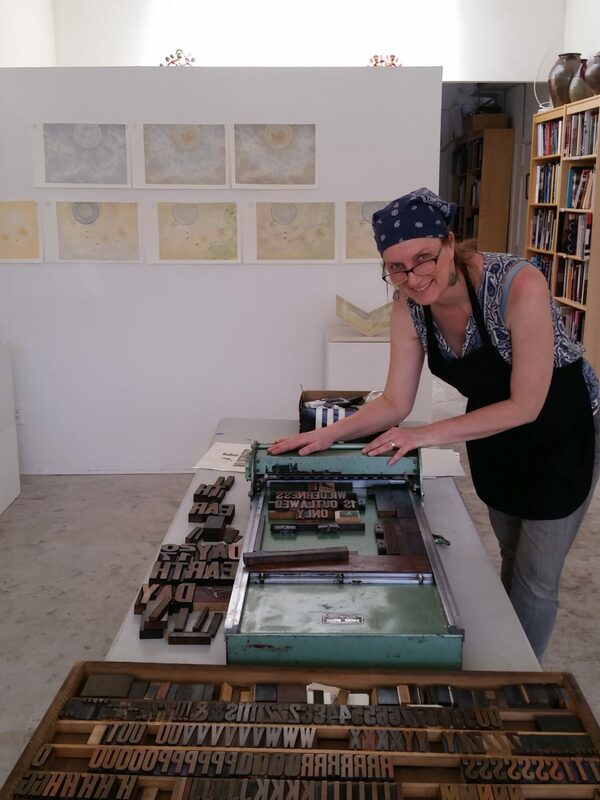 We are very grateful for Catherine Alice Michaelis’ generous donation of her time and work, as well as appreciative of our visitors’ kind monetary donations. 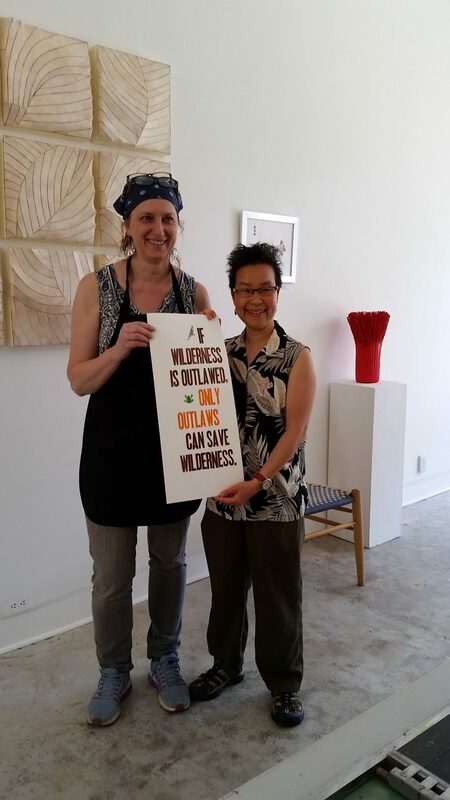 If you missed Catherine’s workshop, you can still stop by and view her work in the NATURE exhibition until May 13 and we will have some of her prints available from now until May 13!